Teamsters Joint Council 16 and its 120,000 members in and around New York City strongly stand in opposition to A7753/S4975 which would set back and provide exemptions for companies treating newspaper delivery drivers as independent contractors when they should count as employees. The bill as it stands provides a “common sense” test that would serve as the new standard for determining whether newspaper delivery persons are employees or independent contractors. This undermines or simply ignores the fact that just last year the industry and labor both agreed to a new set of standards that has been a success upon its implementation. Yet barely a year after its implementations the newspaper industry is attempting to circumvent this new standard to ensure that they can roll back the benefits of the drivers that had previously been classified as employees. Clearly, when it comes between treating employees properly and corporate profits, the newspaper industry has picked its side. Far too often companies try to classify their workers as independent contractors to pay them less and provide fewer benefits when in reality these workers do nothing different than those classified as employees. Last year’s Commercial Goods Transportation Fair Play Act worked to rectify this problem within the delivery industry. 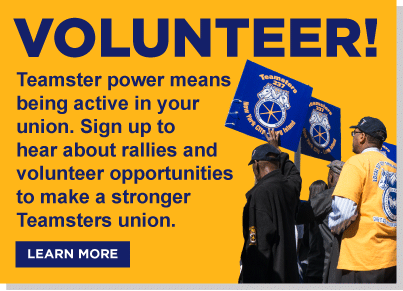 The Teamsters Joint Council 16 stand strongly behind the guidelines established last year and question the logic of this piece of legislation.